1. The main message of the Holy Father from his homily today at Casa Santa Marta. 2. 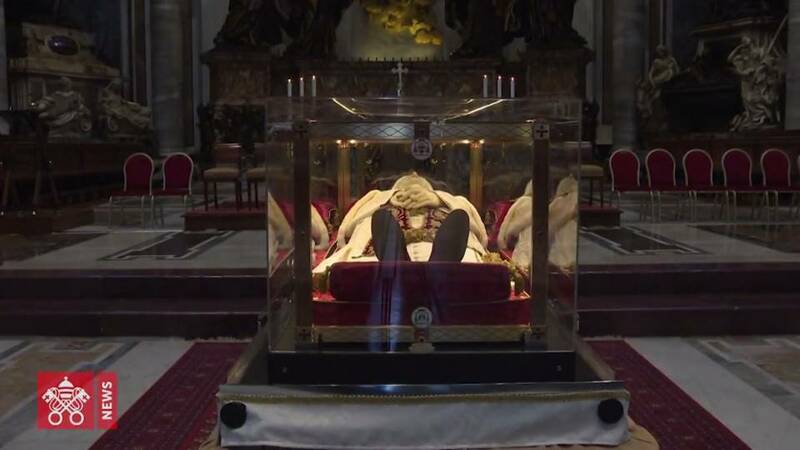 Where the body of Pope St. John XXIII is travelling to and why. 3. A new film by an employee of the CCCB is premiering at this year's Cannes Film Festival. 4. Fr. Rosica speaks at a free event in Vancouver's St. Mark's College. Saint's statue removed as repression gathers pace in China. A statue of a martyr saint has been removed from a Catholic church in Hebei province as Chinese authorities continue their clampdown on religious freedom. Benedictine monastery celebrates 1,000 years of its history. Buckfast Abbey, in Devon, England, was founded in 1018. Celebrations are underway to marks its millennial anniversary. Cameroon: Bishops Call For Peace in the Country. Catholic Bishops in Cameroon have called on the warring groups in the country to put down arms and seek peace in order to avoid a possible catastrophe. Catholic priest could be next American Ninja Warrior. Among the contestants on season 10 of NBC’s American Ninja Warrior, there’s one who stands out: Father Stephen Gadberry.